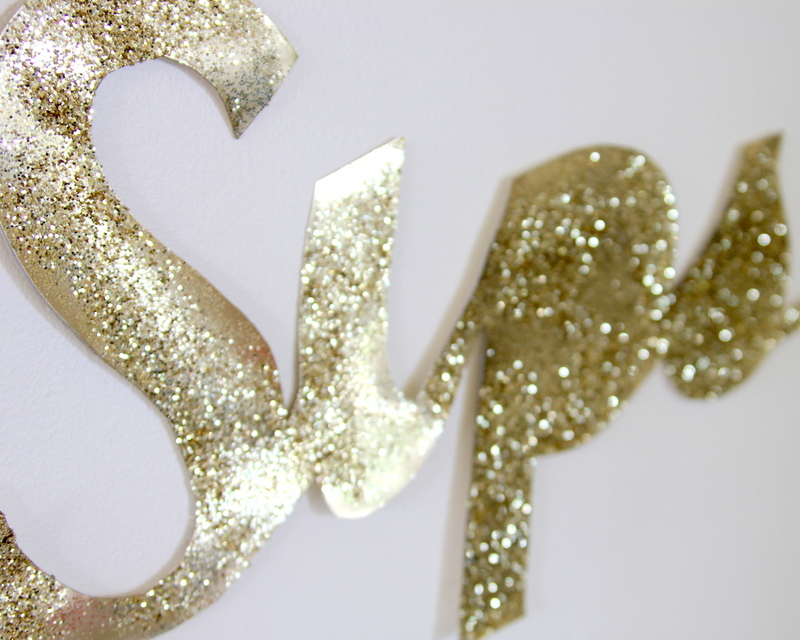 Last fall, I made some huge metallic signs for backdrops at Piper’s sparkle party. 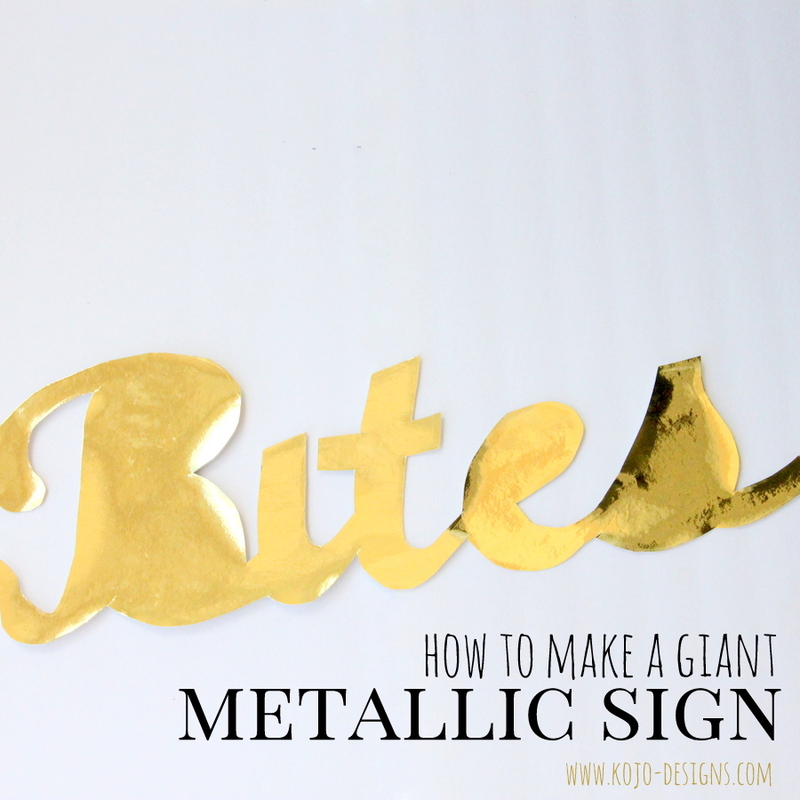 This week, I was making some more giant glittery, sparkly, gold signs and realized I haven’t shared the how-to yet. 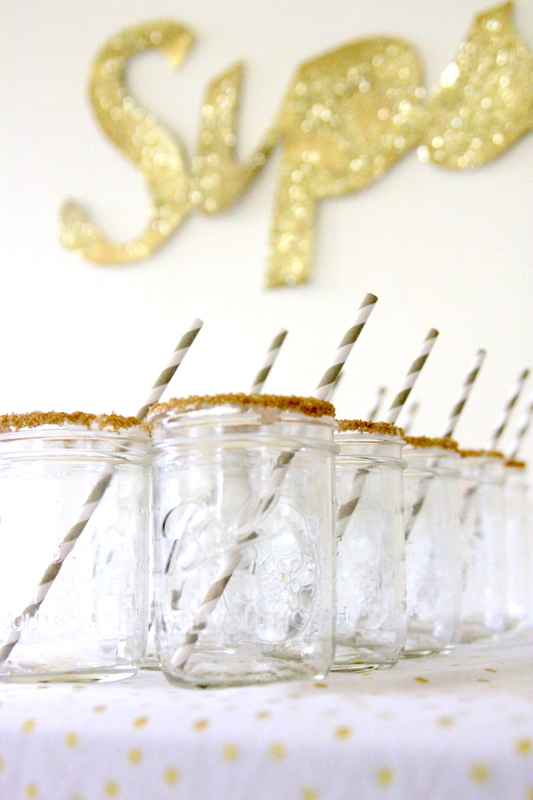 Since these signs are pretty easy to make, but also add quite the ‘wow factor’ to a space or party, this lands them in the camp of My Favorite Kind of Project- fabulous + easy. To put one together, gather a sheet of metallic poster board. 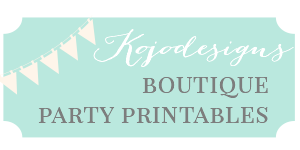 Print out the word for your sign as large as you can on standard 8.5″x11″ sized paper. Tape the individual letters together if your font is cursive, making one word. 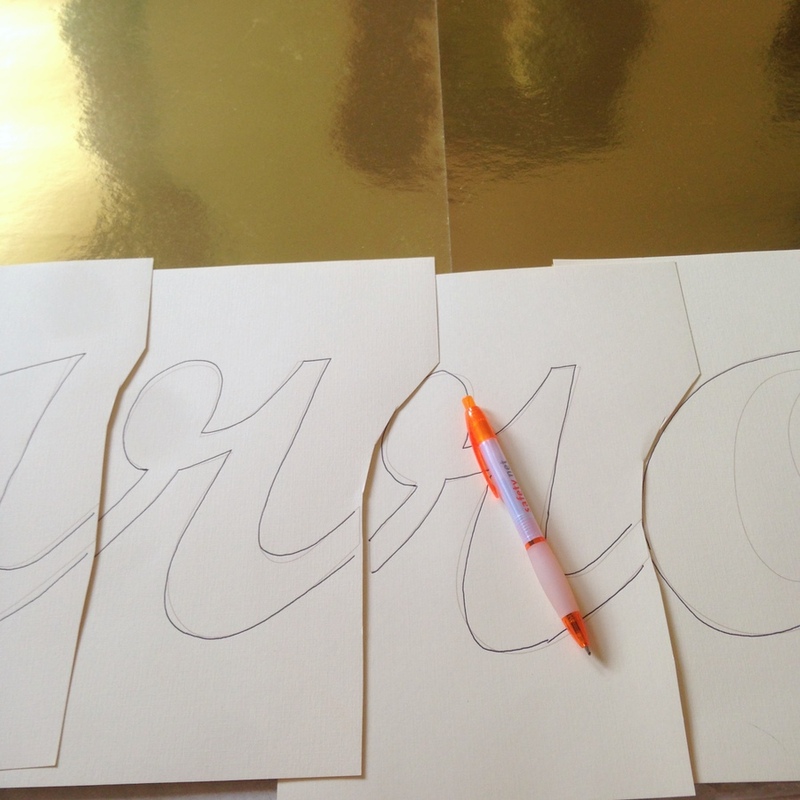 Tape the word in place and then trace, pressing firmly with a pen. Check to be sure that your pen impression is transferring to the poster board. Cut out the poster. Cover with glitter if you please (use this same process minus the clear coat) and let dry.